Amazon donates 0.5% of the price of your eligible AmazonSmile purchases to Friends of the Escondido Public Library! The Friends publish a quarterly newsletter for members. Who are the Friends of the Escondido Public Library? The Friends of the Escondido Library are library lovers who formed this non-profit organization in 1970. There are over 300 Friends members. The Friends Board of Directors meet the second Wednesday of every month at 9:30 AM in the Board Room at the Escondido Public Library. Meetings are open to the public. The Friends also have items for sale on eBay. Take a look at what is currently available. In addition to the eBay auctions, the Friends of the Library periodically hold silent auctions in the Shop. Please see one of the Shop volunteers for more information. To become a Friend, please fill out a membership form. Forms are available at the Friends Book Shop or by calling 760-839-4832. Members receive a quarterly newsletter with information about the Escondido Public Library from library staff and the Friends Book Shop volunteers. The Library, and the Friends of the Library gladly accept donations in accordance with the guidelines below. The Friends of the Escondido Public Library is an approved, volunteer-run 501(c)3 organization. Please note that donated items may be added to the Library's collection or given to the Friends shop for sale. Donated materials become the property of the Escondido Public Library or the Friends of the Escondido Public Library. 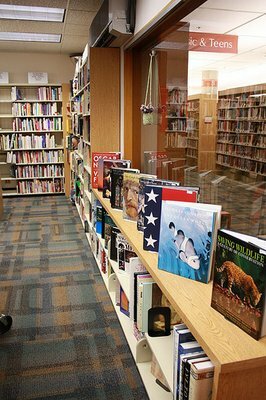 100% of the funds raised by the Friends of the Escondido Public Library go to support reading and cultural programs for children, teens and adults, and to purchase books, DVDs and other materials for the circulating collections. Please come to the Library’s back delivery entrance on the corner of 2nd Avenue and Kalmia Street during open hours and ring the bell. Staff will assist you in bringing the items into the library. We are sorry, but boxes or containers cannot be returned to the donor.